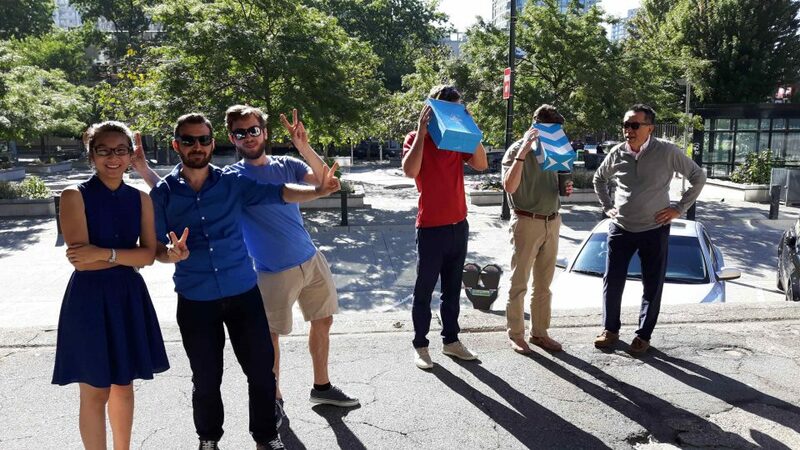 Solar Eclipse Celestial Celebration - RLA Architects Inc.
RLA took a few minute break today to check out the amazing Solar Eclipse! 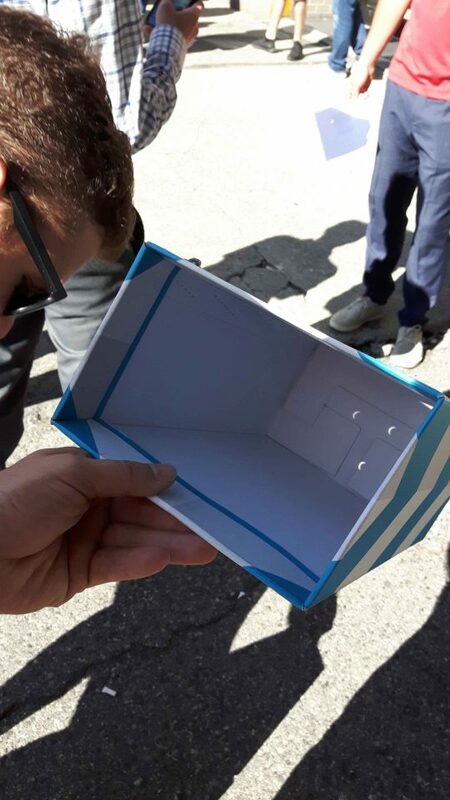 To observe this partial alignment of the sun, moon and earth, much of the staff made do-it-yourself pin-hole boxes while others created a pin-hole screen, for group viewing. The next solar eclipse is schedule to happen over the continental use in 2024, so mark your calendars. This is the first total solar eclipse in the continental U.S. in 38 years. Sorry Vancouver, we only got to see 86%. Total Eclipses (eclipse totalities) differ in lengths. If you’re along the centre line, the sun will be obscured for about 2 minutes and 40 seconds. The longest potential is over 7 minutes. This eclipse will be the most-viewed ever! Mostly because of the weather and the location, where the path of the eclipse is near several major U.S. cities. Pin Hole projection of the Solar Eclipse 2017.